September 9th is the 252nd day of the year (253rd day in leap years) in the Gregorian calendar. There are 113 days remaining until the end of the year. On this page, we have placed information about September 9th, including famous people born on, historical events that occurred on, holidays and observances that fall on, and astrological connections of, this day. 9 An alliance of six Germanic tribes led by Arminius annihilate three Roman legions in the Battle of Teutoberg Forest. 1543 Mary Stuart, still just nine months old, is crowned Mary Queen of Scots. 1776 The Continental Congress names its union the "United States". 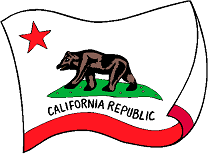 1791 The new capital of the United States is named Washington D.C.
1850 California admitted as the 31st state of United States. 1855 Russian forces abandon Sevastopol, ending the year-long siege of the city in the Crimean War. 1956 Elvis Presley appears on The Ed Sullivan Show for the first time. 1969 In Canada the Official Languages Act grants English language and French language equal status in the Federal government. 1991 Tajikistan declares its independence from the USSR. 1995 Sony PlayStation console released in the USA. 1999 Sega Dreamcast game console released in the USA.